A letter bomb presumably containing handmade explosives went off after being opened at the offices of the International Monetary Fund (IMF) in Paris on Thursday. At least one person was injured. Police said there had been telephone threats prior to the incident. A police operation is underway, law enforcers said in a statement, adding that one person was left injured by a suspicious package with explosives inside. The IMF employee received injuries to her arm and face, BFM TV reported. 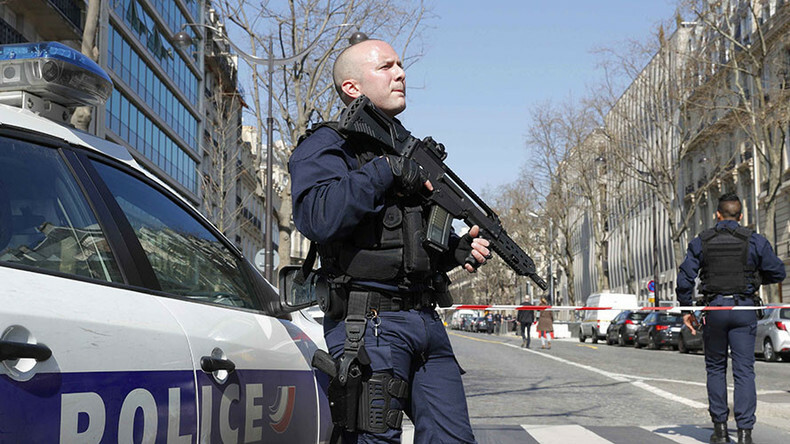 The Paris police prefect has said that the device which exploded at the IMF office was sent by post. An IMF employee suffered facial injuries, presumably caused by a handmade explosive, police said. At least three people were at the IMF office at the time of the explosion, police said. Security services are investigating the origins of the parcel. Police said there had been telephone threats prior to the Thursday explosion, but offered no details on whether they were linked to the incident. The IMF building has not been damaged, French broadcaster BFM TV reported. A fire brigade and police are on site. Access to the Avenue d'Iéna is blocked from the Place de l'Etoile. Some 150 people have been evacuated from the building, it added. IMF chief Christine Lagarde has condemned the explosion, saying it was a "cowardly act of violence." "We are working closely with the French authorities to investigate this incident and ensure the safety of our staff," she said. France remains under a state of emergency, introduced following a string of Islamic State (IS, formerly ISIS/ISIL)-linked extremist attacks over the past two years. Initially, the state of emergency was introduced by President Francois Hollande immediately following the Paris attacks on November 13, 2015. After the horrific attack in Nice last summer, which left 84 people dead, the National Assembly extended the state of emergency until after the 2017 elections, due to be held in April-May. On Wednesday a parcel bomb was mailed to German Finance Minister Wolfgang Schaeuble from a post office branch in Athens. It was intercepted by the German Finance Ministry's mail department. The militant Greek group Conspiracy of Fire Cells, which previously claimed it was behind a series of parcel bombs sent to foreign embassies in Athens in 2010, has claimed responsibility for the parcel. "We still have the rage. We sent the package to Germany's finance minister as part of the second act of Nemesis Plan," the group said in a statement on the internet, as cited by Reuters. "Nothing is over, everything continues." The 74-year-old politician from the Christian Democratic Union (CDU) party is perceived as a hardliner on austerity in crisis-battered Greece. Info #BFMTV@cecileollivier : explosion au 66 avenue d'Iéna suite ouverture enveloppe piégée. Siège du FMI. 1 blessé.